George and Dora's story is my favorite of the Survivor's Club. The Duke of Standbrook was always an important character woven through the series but his story is really the most heartbreaking and I had hoped for a happy ending for Agnes' sister, Dora from the earlier book. I enjoyed all the books in the series with great characters and their stories. l loved it, Hugo, Lord Trenton is my new favorite hero. Gwendolyn is a perfect, imperfect heroine. 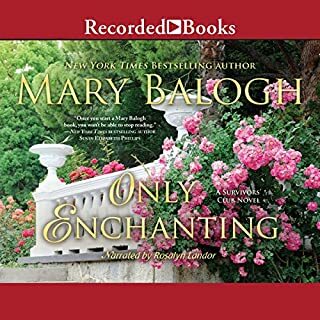 Ms Balogh writes a romance with characters that really need a happy end after all the sorrow that has followed them. The narrator is very good at using distinguishable voices for the cast of characters and reads with feeling. I recommend this audiobook and look forward to more of this series of wounded military men. The brutal truth of the hardships faced in the American Western frontier is palpable in this post Civil War story. Antonio and Lottes' paths cross to give us the heart breaking reality of two people's losses and their ability to overcome their circumstances to accept help, companionship and eventually love from each other. 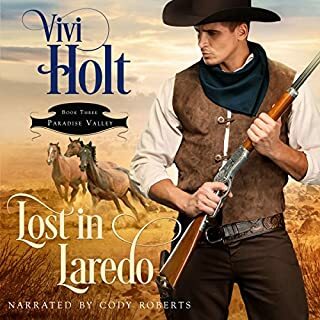 I enjoyed the story by VivI Holt and the superb narration by Cody Roberts for a touching and bold audio book and highly recommend it. I loved it! I laughed out loud so many times my friends looked at me like I had lost my mind and I laughed again! There were times that also garnered a tear of two. I am so in love with these Wilde heros I can't wait for the next one. I also enjoy Susan Duerden's narration. Sometimes female narrators make no difference in the tones of female and male characters but I really enjoyed this narration. North sounded very breathy and sensual, easily distinguished from Diana or the other feminine characters. 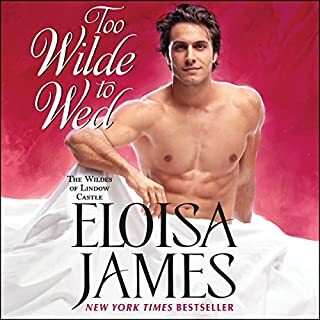 Definitely recommending Too Wilde to Wed and looking forward to the next book in the series. While other ladies turn their country homes into soldiers' hospitals and host charity bazaars to fund the war effort, Linley struggles just to keep Wolford Abbey afloat. Driving tractors and managing servants is not the life she dreamed of in those magical days before the war. She yearns to put down the teacups, pick up a trowel, and follow in her father's footsteps as an archaeologist - and never is this more apparent than with her husband away at the Front. I absolutely loved the second book of Linley and Patrick during World War I. As difficult as it was to listen to some of it, Ms Jeleyne's prose and the narration by John Rayment made it hard to stop when I had to. Patrick's war experiences were heart wrenching especially his recovery and return home. I found myself telling Linley that I wouldn't stand for his treatment of her, but then, I'm sure I would feel differently in her shoes. Allyson Jeleyne has a way to keep me pulled into the story and weaves a tale with suspense, humor, steamy romance and history all rolled into one grand audiobook! John Rayment also does a great narration, with accents and different tones to keep the characters from all sounding the same. 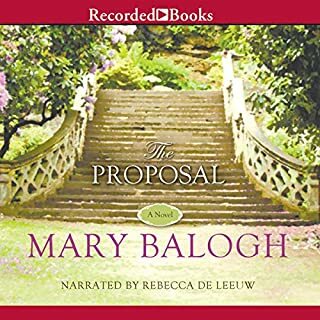 I highly recommend this audiobook for hours of suspenseful and romantic listening. I loved this book! I really enjoy stories of romance between people of two different classes trying to make it work, although in this case they really weren't. Honesty goes a long way and would have cleared the way much earlier but the story wouldn't have been very exciting! As it happened a Bow Street Runner and a Baron's daughter turned school head mistress provide a very entertaining tale. The narration is very well done and kept the story running smoothly. 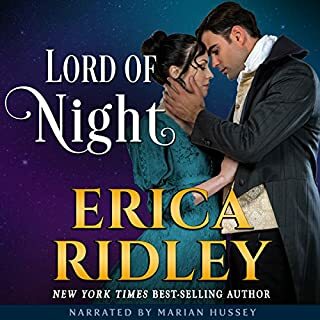 I highly recommend this Regency Rogue adventure. Sir Arnon de Bar has just been released of a curse from the old witch, Hecuba, only some side effects still linger. He meets a mysterious woman at the swamp one night but sees her kiss a frog and vanish into thin air. He has his sights set on claiming Castle Fane in Slapton as his own but stumbles upon an easier way to get what he wants instead of storming the castle. The baron of Slapton is holding a competition, and the winner will be awarded his daughter's hand in marriage. 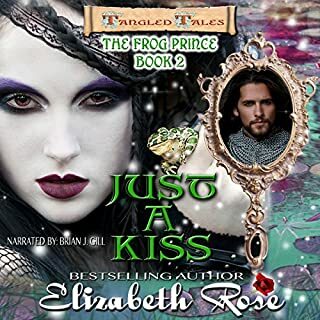 Another witty, fun paranormal fractured fairy tale by Elizabeth Rose! Even with serious events it was still a lighthearted twisted tale. Following the curses of the de Bar family by the witch Hecuba keeps getting more entangled and fun finally finding their HEA. I highly recommend the whole fairy tale series! 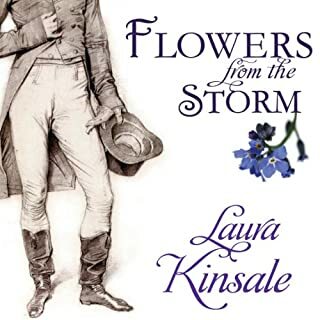 This was my first encounter with the author, Laura Kinsale. I was totally surprised and enjoyed this book so much. A very unusual story with strong characters. I wasn't sure where it was going at first, I reread the blurb to see if it was a romance. I loved the vulnerability of the hero with all his faults before and after the incident that would change his life forever. The heroine was so torn between the life of the Quakers she knew so well and the life of the "worldly" man that she had grown to love that sometimes I just wanted to shake her. It is a thought provoking story that shows just how quickly a life can be changed and of redemption and love that changes everything. I thoroughly enjoyed this audio book. I found myself laughing out loud at the simple antics of a delightful heroine. The hero playing her own games against her kept me waiting to see just what she would try next. There was enough suspense in trying to figure just who the murderer was as well. The narrator did an excellent job in the accents and distinguishing the different voices. 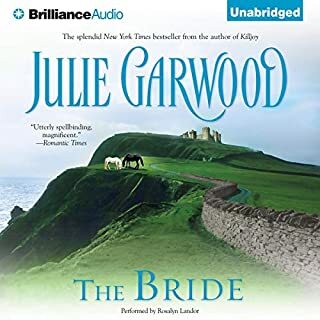 As if I need to assure you of finding a great book, when Julie Garwood's name graces the cover but I will anyway, you will surely enjoy this Highland romantic romp! Isobel MacEwen is sent as her cousin Catherine's proxy to marry Conlin de Braose, Baron of the Cinque Ports. But several months before she leaves Scotland, and on the same night that the baron's ship is docked in port, she is a witness to the murder of their Scottish king. Or almost a witness. From her hiding place on that stormy night, she only sees the murderer's shoes as he walks by. Isobel's weakness is shoes. She loves shoes and notices not only everyone's shoes, but the way they walk as well. Very entertaining and witty with Isobel's shoe fetish making me laugh out loud at times. The mystery of the suspected murderer just adds to the suspense and kept me listening until the end. Highly recommended!